Surf rock, anyone? 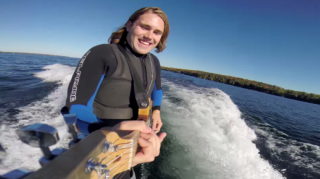 Chris Hau is a young Canadian who loves wake surfing—a sport that involves surfing the wake of a boat. He’s also a dedicated shredder, a lefty with a thing for Telecasters.